ESF Consultants mining division helps mining industry players achieve sustainable mining in respective environment of their operations. ESF ensures that mining environmental and social footprint are minimized to ensure that environment of the area is managed well. Our experience in the mining sector includes one of the world’s largest deposit of copper and cobalt mining Democratic Republic of Congo. 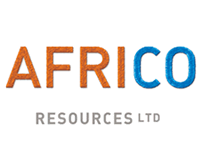 ESF Consultants Limited was commissioned to undertake Social Impact Assessment of the proposed mining to assess the social impacts of developing the Kalakundi Copper and Cobalt Project. Social issues included all changes in the way that people live, work, play, relate to each other, organise to meet their needs and generally cope as members of society. Included among these changes are cultural impacts involving the values, norms and beliefs that guide social action.